The movement systems shown here show some possible solutions for 2-axis (X-Y) horizontal movement. If you are looking for good rigidity and high performance the best solution is that with two parallel guides at the bottom and a cross piece fitted above. 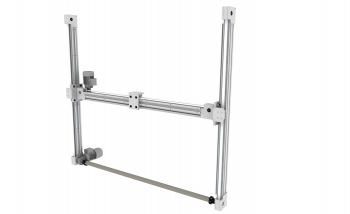 When this is not possible you can use movement systems with a single axis at the bottom, but this results in less rigidity and lower performance. 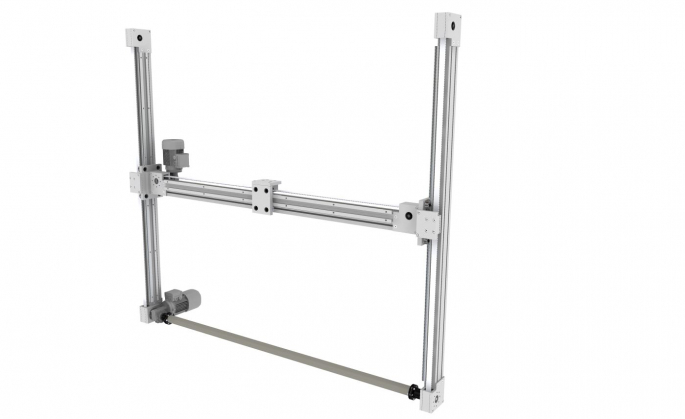 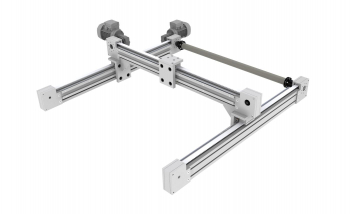 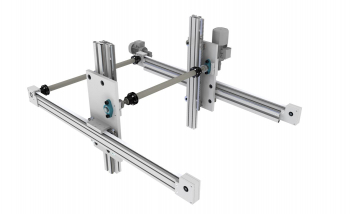 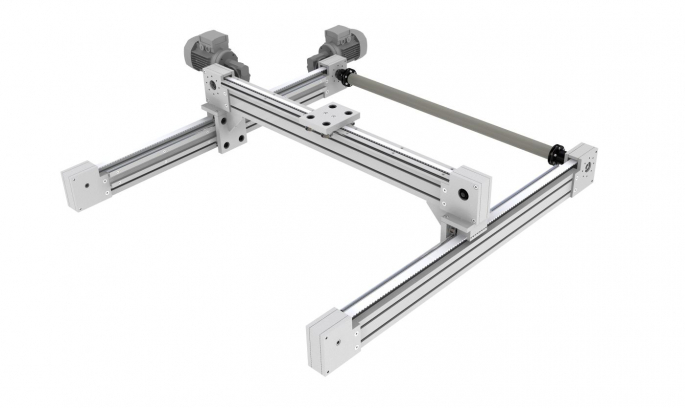 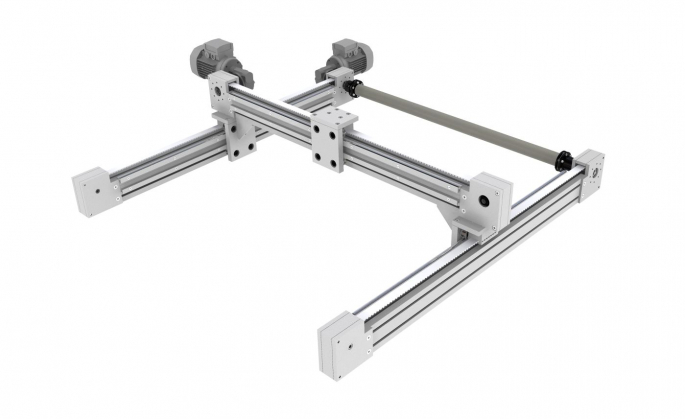 The movement systems shown here depict some possible solutions for 2-axis movement (X-Z), generally involving a belt on the horizontal axis and a rack on the vertical axis. 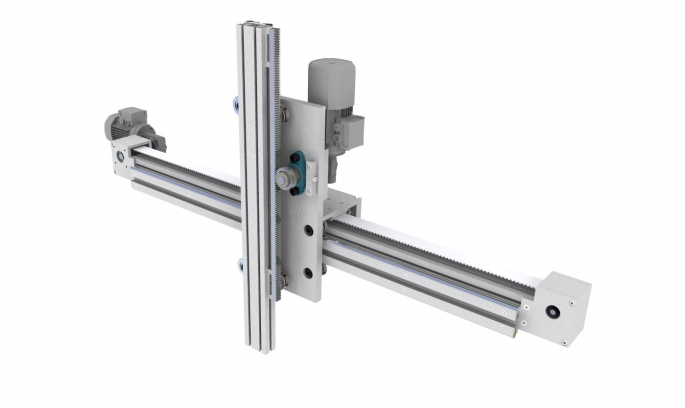 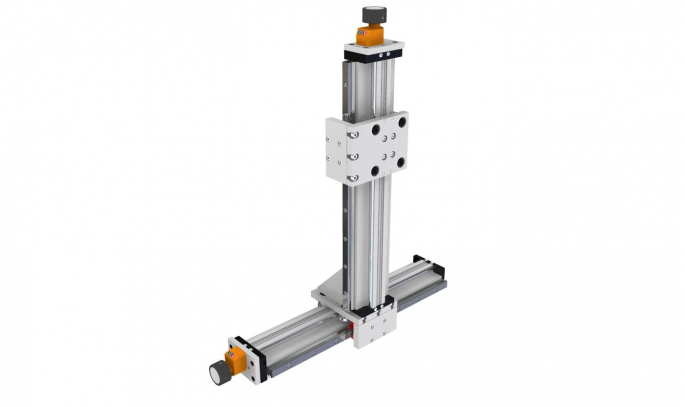 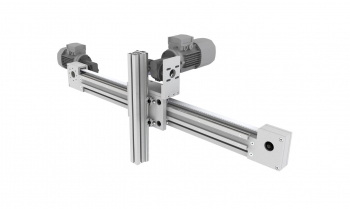 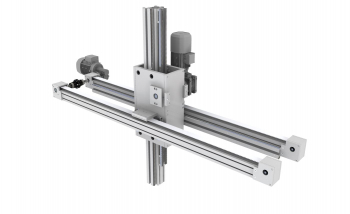 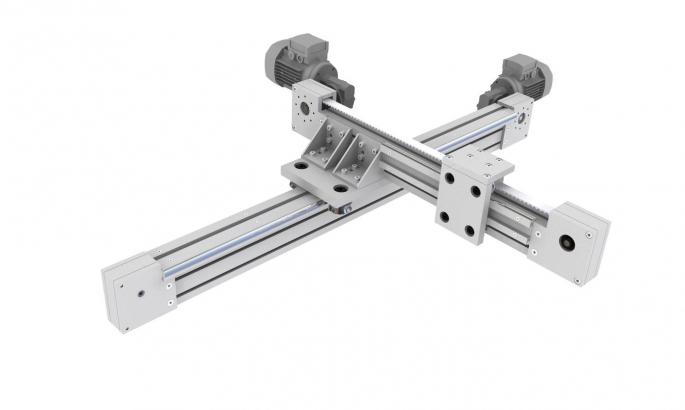 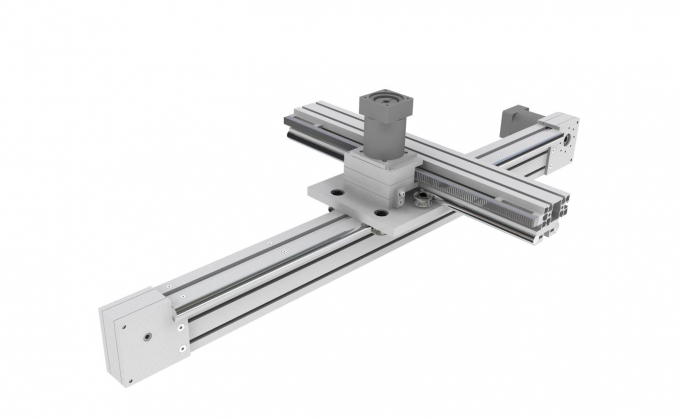 Depending on the extent of the load, the vertical stroke, and the positioning precision required, we offer solutions with single guides on both axes, a double guide on the horizontal axis and single on the vertical, or a double guide on both axes.